Firstly I would like to mention all of the hockey captains for their commitment and enthusiasm this season. It is a real credit to all of the girls to see how well they play hockey against our local competitors. All of the teams from Year 5 to Year 11 have fought hard and had lots of possession of the ball even in games that they did not win; overall our statistics are positive. We have definitely won or drawn more games than we lost. I would like to give a special mention to the U13 team who won the District Tournament at St Teresa’s despite a few nasty injuries. Both of the U12 teams came third and the U14 team came fourth. The U12A team played at Epsom College in the plate tournament. They were unbeaten in the group and went into the final against St Thomas’ B team. After an exciting end to end game it finished 0-0 meaning a penalty shootout would decide the winner. It was equal after three shots each and so it went to sudden death which St Thomas’s won. A very strong performance from all of the team – well done. We ran a blended U15 and U16 team again this year, which was a success, mixing experienced club players within the two age groups. Additionally a big well done to Molly M, Abigail M and Olivia B who have all played in the women teams for Leatherhead Hockey Club in the Surrey Hockey League. Thanks also to Mrs Buck and Ms Fantham for coaching the Year 7 and Year 8 teams this year. House Hockey went well across all three age groups. The results of which are detailed below. It has been a busy season for cross-country especially for our Year 7s. We have a lot of strong runners in this year group so have entered a number of races in order to challenge them. The team started off the season with a joint first at an event organised by Priors Field School. They have won at events organised by ACS Cobham, St. Edmund’s, St Mary’s, Surbiton High School and the District Championships. They came second at a race organised by Guildford High School. They have been slightly more challenged in races where they are racing Year 8s and over the longer distance of 3km. They have still managed to beat twenty five different schools at these various events over the season. Elin R, Alice M, Jessie S, Amelie P, Georgie A and Talia P have also all represented Central Surrey at the Surrey Cross-Country Championship. We have had a few Year 8 and Year 9 pupils who have also represented the school and performed well. 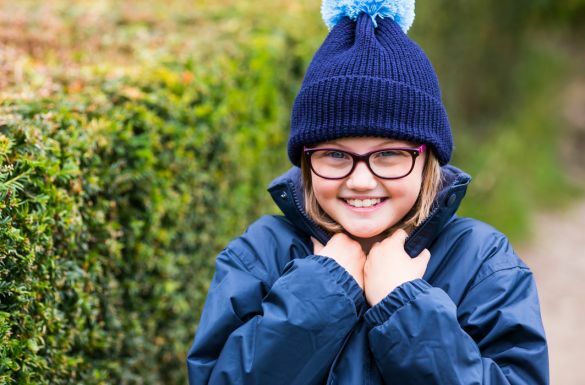 There has been some individual success from pupils in the Prep School and we look forward to watching Isabelle W in Year 3 develop as not only did she win the House Cross-Country, beating all the Year 4’s, she won a bronze medal at the Manor House race and came fifth out of approximately eighty runners at a race at Stoke Park. Other good performances to note from the season include Lily S, Katie W, Lauren H, Sophie B and Natasha W.
We have been fortunate this year to have a Gymnastics Coach who has been running our Tuesday morning Elite Academy for select girls from Year 5 to Year 8. The coach has helped the girls to improve their skills and be prepared for the Surrey competitions. We have taken part in the Surrey Schools Tumbling and U11 and U13 Floor and Vault competitions. The highlight of which was Jessica H being placed third in the vault and fourth overall out of fifty five gymnasts. In some of our friendly competitions we have included our Gym Club girls who have enjoyed the experience of competing. Elin O, Seren P-J, Rosa G, Maddy H, Natasha W and Elsbeth T have all been placed in the top three in various competitions. Emilie M, Alice M, Ania M-M, Emma D, Amelie P and Georgie A have also been placed in the top three in various Senior competitions. We have been pleased to have girls playing Netball and representing the school from Year 3 to Year 11. In Year 7 we have been able to field A, B, C and D teams. Our U15A team have been our most successful, winning the majority of matches they have played, except those we have arranged against older age groups or much tougher schools to challenge them. They just missed out qualifying for the Surrey Finals but did win the District Tournament. Our U12A team also won the District Tournament and the U12B team were third. The U14A team have showed the most improvements in their standard of netball this season and have been a lot more successful this year. In the Prep School the U9 and U10 teams have enjoyed the experience of playing in a tournament and the U11B team were third recently at the Westward tournament. We have also been pleased with the standard of play by our U11A team and the improvements made by our U10A team. We are very excited to be taking sixteen girls from Year 9 – Year 11 to the International Junior Netball Festival held at Disneyland Paris on the 10 April. The girls will have the opportunity to take part in coaching clinics run by International and Super League coaches and players as well as enjoying two days of tournament play. Please see the document below for names of this term’s Sports Captains. 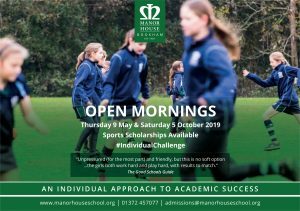 The stimulating learning environment of Manor House School inspires our girls to achieve their personal academic best. 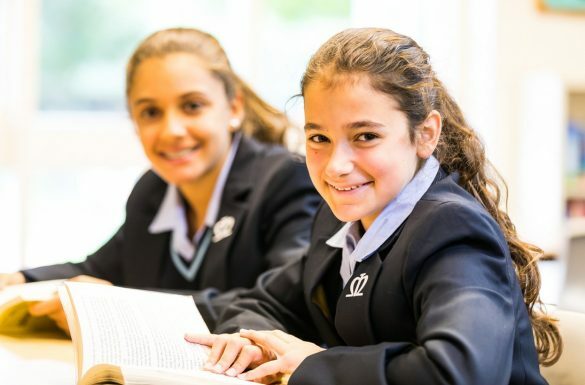 Our curriculum inspires a lifelong passion and love of learning, but there is far more to school life than examinations.